When the reigning champion, SKA, made its exit from the playoffs, it heralded the departure of one of the brightest stars to have graced the League, and this he did for six of its ten seasons. 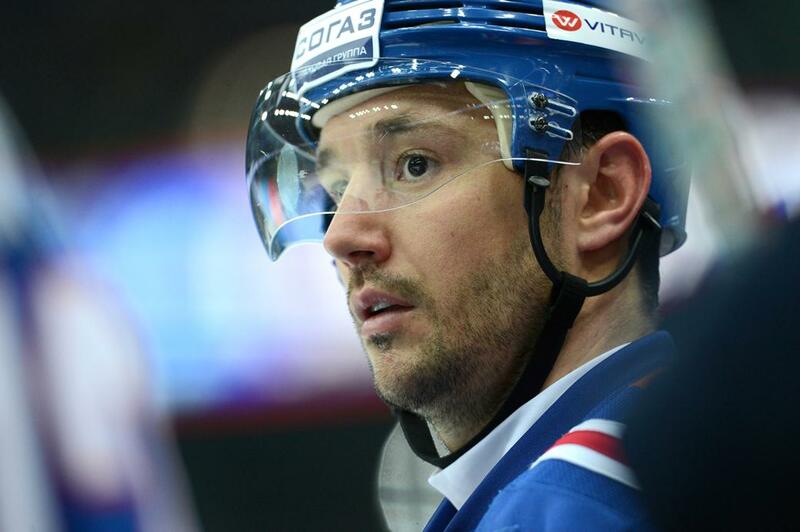 Less than a week before his 35th birthday, two-time Gagarin Cup winner Ilya Kovalchuk announced that he was heading back to North America to re-ignite his NHL career. In addition to wishing him all the best, KHL.ru decided to take a look back at the formidable forward's achievements during his time back in his home country. 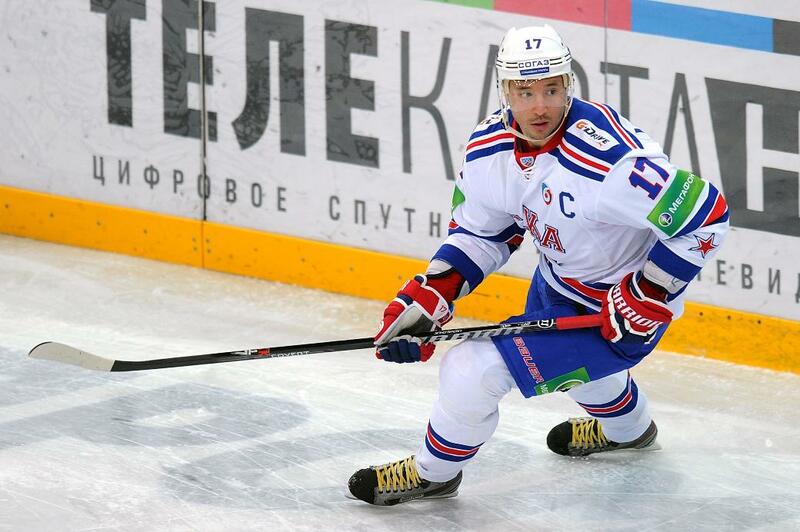 Kovalchuk's first spell in the KHL amounted to little more than half the regular season, as he was part of the large NHL contingent which moved to the League in the 2012-13 season due to the NHL lockout. The stars were soon heading west again, after the dispute was resolved early in 2013, and Ilya's stint comprised a mere three dozen outings before moving back to North America. However, Kovalchuk crammed a great deal into those 36 games, including a stunning first 11 matches in which he took points in every game, a hat-trick against CSKA, but perhaps even more significantly, he acquired a love of the club and the city. By the time the next season was underway, Ilya's signature was on a contract with SKA. It was not only the inhabitants of Peter the Great's city who were delighted by Kovalchuk's arrival. 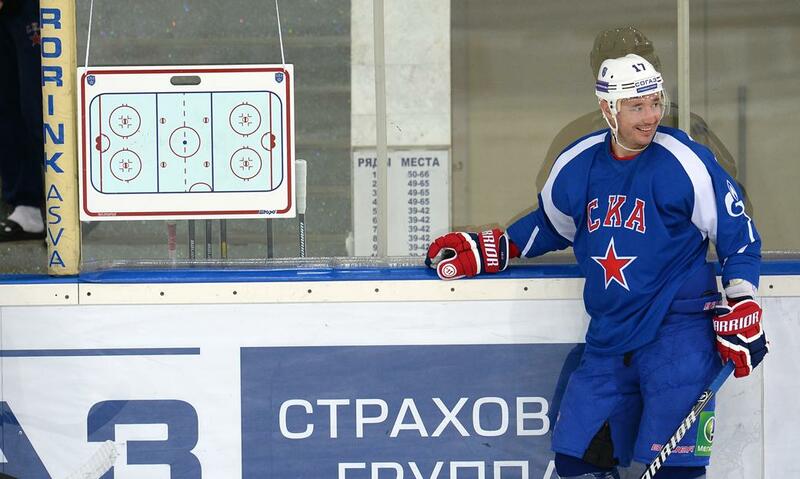 All across the vast territory of the KHL, fans flocked to SKA's road games to see him play. He and Pavel Datsyuk, who was spending the lockout months with Moscow's Army Men, also deserve a special mention for their appearance at that season's All-Star Game in Chelyabinsk. There were hopes the event would be the most stellar in Russian history, packed with locked-out legends, but the dispute was resolved, NHL contracts came back into force, and the international brigade boarded their trans-Atlantic flights a matter of days before the big event. 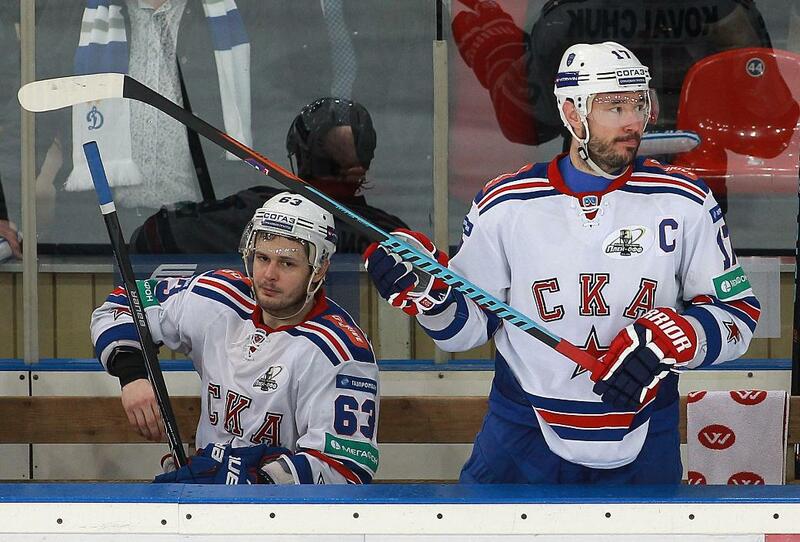 Datsyuk and Kovalchuk, however, negotiated a delay in their return, and headed off to the Urals with the best of the KHL. While the Magic Man performed his wizardry in the shootout, Kovalchuk stole the show with an unexpected display of figure-skating. This was the first of five appearances from Ilya in the All-Star Game, and he would have achieved a sixth call-up were he not ruled out of the 2016 event due to illness. On the 11th of July, 2013, came an announcement on the official website of the NHL, breaking the news that Ilya Kovalchuk had decided to call time on his North American career and would soon be returning to his homeland, and this just a month after he played for New Jersey in the Stanley Cup final. His contract with the Devils ran until 2025, but there was no denying the reality: one of the finest forwards in the game had officially accepted an offer of a four-year deal with SKA Saint Petersburg. In the short but eventful history of the KHL, this move was most the most sensational homecoming of any NHL star, even overshadowing that of Alexander Radulov from Tennessee to Bashkortostan. Expectations among the burghers of the Northern Capital were sky high, and might well have become an unnecessary burden and an unwelcome distraction. The new captain made a slow start, but this was not unusual for a player fresh to the League after years in the West, and most expected Kovalchuk to gather momentum as the winter approached. Instead, Ilya suffered a wretched December, and this was followed by the bitter disappointment of Russia's early elimination at the Sochi Olympics, from which he returned to Petersburg nursing an injured knee. 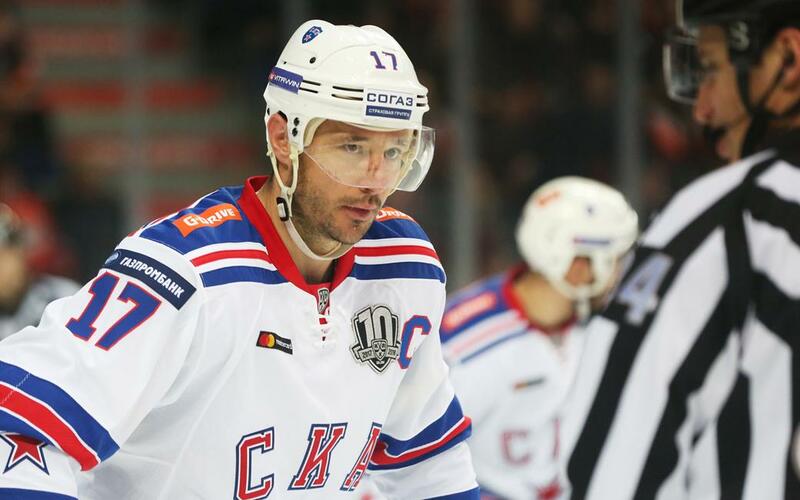 By the end of the regular season, there were 40 points in Kovalchuk's account – a healthy enough figure, and good enough to place him in the League's top ten – but this was still the great man's least fruitful season in the KHL. For his first couple of years in Saint Petersburg, the famous forward labored under foreign coaches – firstly, in the lockout season, the charismatic Milos Riha, and then, after his return was made permanent, the Finnish specialist Jukka Jalonen. When the management decided the team should be under the guidance of a Russian coach, Ilya started reproducing the form which had terrorized defenses on the other side of the Atlantic. The new boss, Vyacheslav Bykov, was Kovalchuk's “old” boss when he captured his two world Championship golds, so not only did the head coach have total faith in him, but he knew full well how to use him. 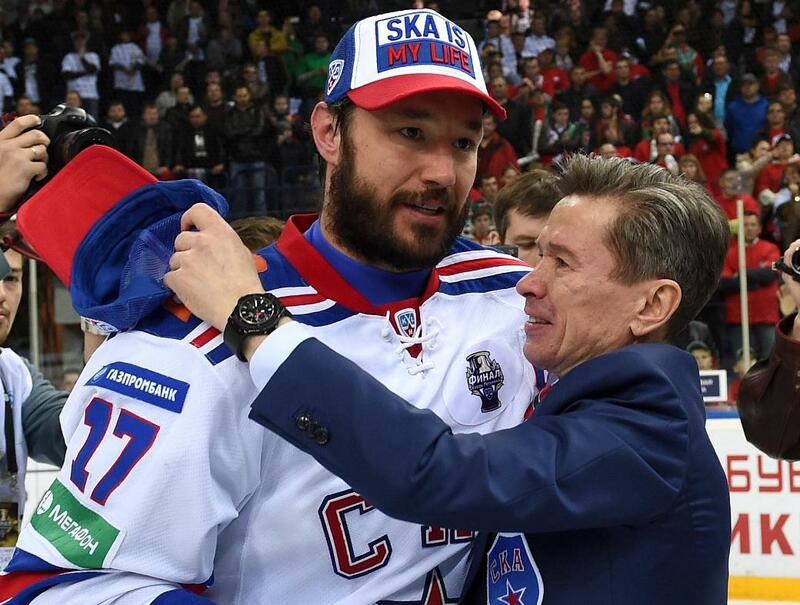 Bykov gave Kovalchuk the freedom he required, and he repaid the boss's faith by captaining SKA to its first Gagarin Cup triumph. Among the multitude of medals and accolades to fall Kovalchuk's way in his career, there have so far been three occasions when he received the MVP award. He was recognized as the Most Valuable Player at the 2009 World Championships, at the recent Winter Olympic Games in Pyeongchang, and in the 2015 Gagarin Cup campaign. Those playoffs, in which SKA unforgettably became champion, Ilya was immense. In the series against Dynamo Moscow, which at the time was a battle between the Petersburg Men and their most serious rivals, he scored points in every game. His dramatic overtime goal in Game 6 of the stunning Conference final comeback against CSKA was a near-knockout blow to the Muscovites, tieing a series in which CSKA had raced to a 3-0 lead. After he had lifted the trophy, the figures stated that only four players had scored more during the postseason, and three of these were on Ilya's team. It was to one of these, top sniper Evgeny Dadonov, that Kovalchuk generously handed his MVP award, a fact which should be cited whenever certain pundits across the ocean suggest the great man has an inate selfish streak. If you were to ask any hockey player which of Kovalchuk's goal-scoring records they would like to match, or even surpass, it is likely they would choose his pair of Championship-winning goals. The list of those who have achieved this on one occasion contains some illustrous names – Alexei Morozov, Sergei Mozyakin, and and the battling Nikita Alexeyev, for example – but only Kovalchuk has managed to do this twice. The first came in Kazan in 2015, when a double from Kovalchuk contributed toward a resounding 6-1 victory, and the second arrived two years later in Magnitogorsk. On that occasion, the Army Men's captain limited himself to a solitary goal, nine seconds into the third period, but it was the moment that secured the title. The message to all teams is loud and clear: if you want a player for those crucial moments, Kovi's your man. The 2015-16 season turned out to be full of twists and turns for Kovalchuk. It began smoothly enough, despite the absence of Bykov, who had moved on in search of new challenges after the previous year's triumph. Ilya was still SKA's leader, and was joined in his line by prolific sniper Anton Burdasov, but then the season began to unravel. The first negative signs came with Team Russia's unexpectedly poor showing in the Channel One Cup, with Radulov and Kovalchuk accused of lacking discipline during a defeat at the hands of the Swedes. Memories of that Moscow stage of the Eurotour seemed to be fading by the time the playoffs arrived, but a below-par performance in the Game 1 loss to Lokomotiv set more question marks over the captain's current form, and the coaching staff, deciding to take no chances, left the star forward out of the roster. 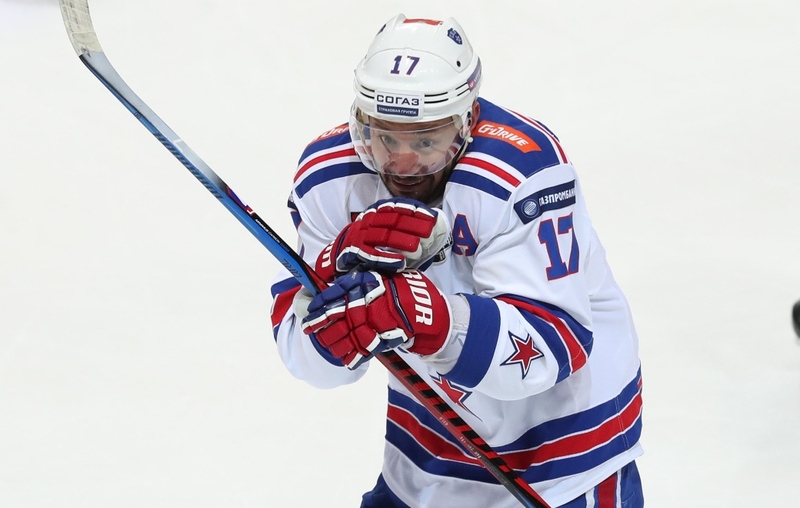 In his absence, SKA managed to overcome the challenge of the Yaroslavl team, and Ilya was brought back onto the ice for the match-up with Dynamo, but by that time he had lost both the captaincy and the coach's confidence. Salt was rubbed into Kovalchuk's wounds when Team Russia boss Oleg Znarok decided against calling him up for the World Championships, played on native Russian ice, and the fall from grace seemed complete. While many assumed that Ilya's days in Petersburg were numbered, and speculated wildly about which club would be next for the hero of the previous season, Kovalchuk reacted in the best possible way – he knuckled down, persevered, and set about proving his doubters wrong. Who could have foreseen he would soon be tasting Gagarin Cup glory yet again, and under the leadership of a certain Oleg Znarok? The tenth anniversary season of the KHL was also a very special year for Kovalchuk, although admittedly, his finest hour came during an extended break in the Championship. At the fifth attempt, Ilya became an Olympic gold-medalist, and it fully justified his decision to stay on in his homeland for another season. The great man had been considering a return to the NHL during the summer, but that would have ruled him out of the Winter Games, And so, instead of diving into the New Jersey contractual wrangles which a North American move would inevitably trigger, Ilya signed on for another year at SKA and thus was able to chase his Olympic dream. 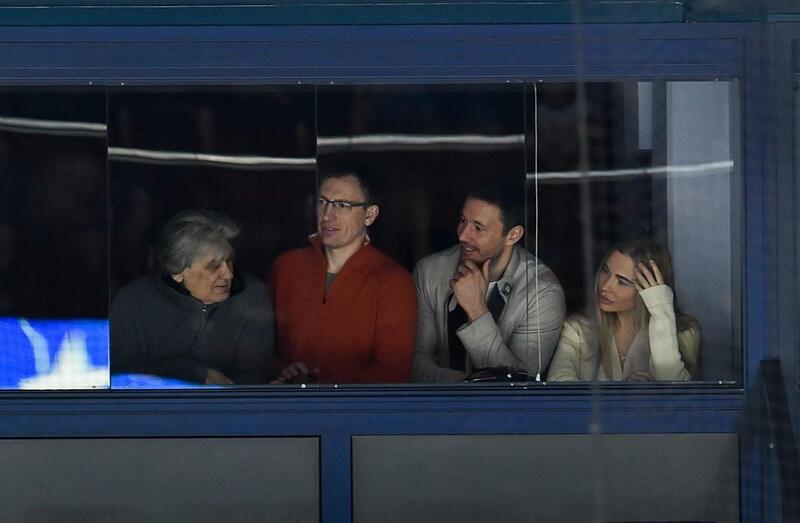 Many sportsmen retire and seamlessly move into a life as a TV pundit or commentator, broadcasting a mix of experience and diplomacy, but it is hard to imagine Kovalchuk as one of these impassive, sometimes passionless, observers. As many in the NHL can confirm, he has a long history of successfully getting under an opponent's skin with a mix of physical intimidation and finely-tuned mockery. Many opponents, from Linus Omark to Lokomotiv's Czech enforcer Jakub Nakladal, have found themselves targeted by the SKA man, who has never been shy to enter into any conflict, but who always brings a touch of creativity to his aggression. 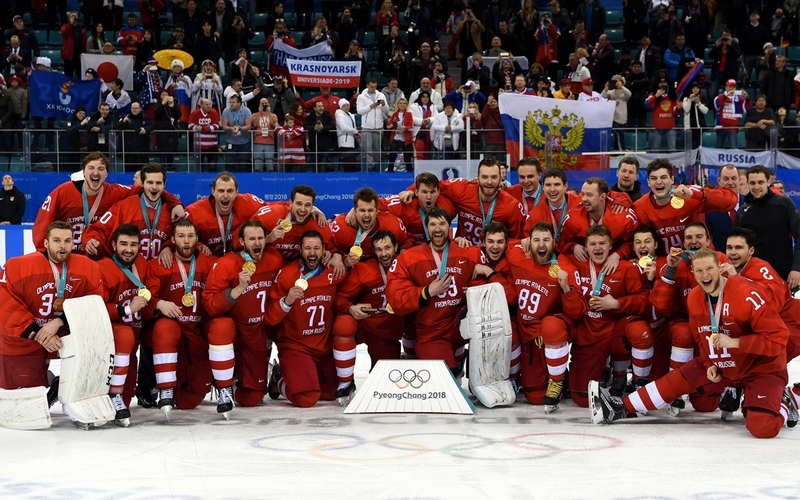 The Olympic gold medal was one of a host of accolades and achievements in his final KHL season. He and Datsyuk both defied their advancing years and charged around the ice as if they were ten or fifteen years younger, and for Kovalchuk in particular, the results were clear for all to see. For the second time in his SKA career, and indeed, for the second season running, Ilya broke the magic 30-goal barrier, thanks in part to two hat-tricks. And even more impressively, when the regular season was over, no-one – not team-mate Nikita Gusev, not even Sergei Mozyakin – had managed to dislodge Kovalchuk from the Top Scorer position. Not a bad way to end your KHL career.